Conniff construction specializes in making homes beautiful. Whether you are looking for new home construction, additions or need help with budgeting a project, we can help. Our project managers have streamlined the process for our residential services, so your time spent on your new home construction or renovation is stress-free. Talk to one of our specialists today. We’ll discuss your project needs in specific detail, offering expert advice to ensure that the results match your every expectation. For more than 40 years, Conniff Construction has provided quality home remodeling and construction. We work with our clients to make sure their property needs are met and provide outstanding craftsmanship throughout the project. Contact our professional team or give us a call at 732-350-5005 to schedule a consultation.  Conniff Construction is a residential remodeling company serving Holmdel, Colts Neck, Marlboro, Manalapan, Toms River, Brick, Jackson, Point Pleasant, Freehold, Millstone, Belmar, Manasquan, Manahawkin, Forked River, Lavallette, and surrounding NJ communities.